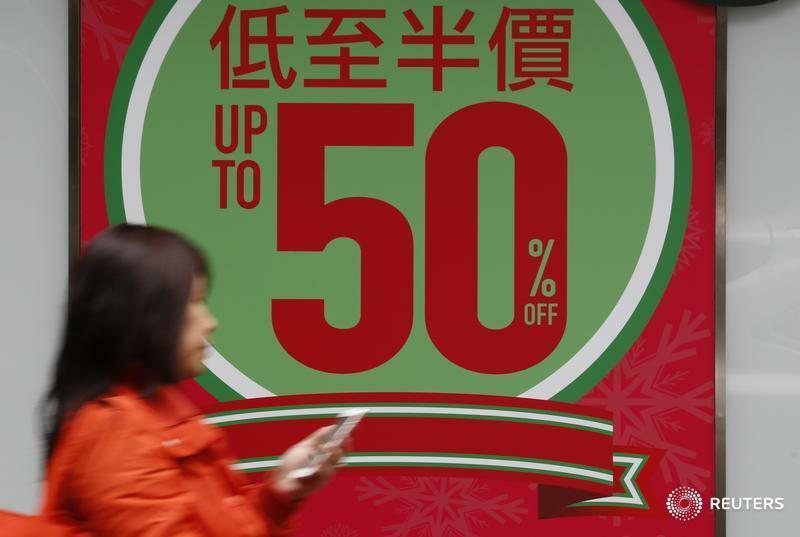 A dearth of mainland tourists is hammering high-end retailers. Though the sector’s economic contribution is fairly small, the slide hurts a city already confronting toppy house prices, rising U.S. rates and China’s slowdown. At least Hong Kong has shored up its financial system. The value of Hong Kong retail sales fell for a ninth consecutive month in November, the longest period of decline in 13 years, hit by a slide in the number of Chinese tourists coming to the city and by weak consumer spending. Retail sales plunged 7.8 percent from a year earlier, the biggest percentage drop since January 2015, to HK$38.1 billion ($4.92 billion). In volume terms, November sales fell 6.0 percent. Retail sales will likely be “still constrained” by weak tourism, the government said, adding that local sentiment could be impacted by the uncertain economic outlook following the U.S. interest rate hike.